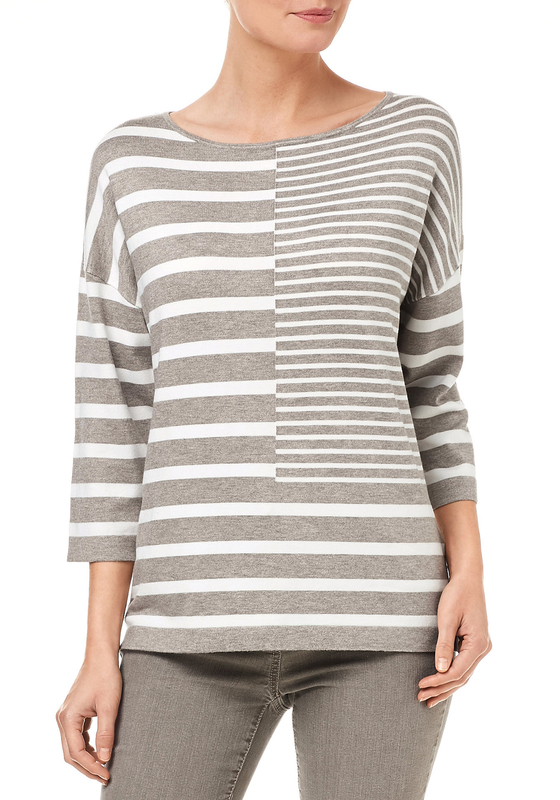 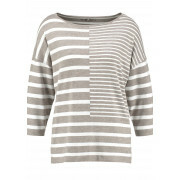 Presented by Gerry Weber is a finely blended knitwear jumper in light brown and white. 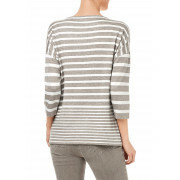 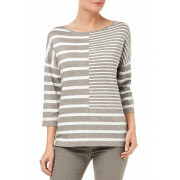 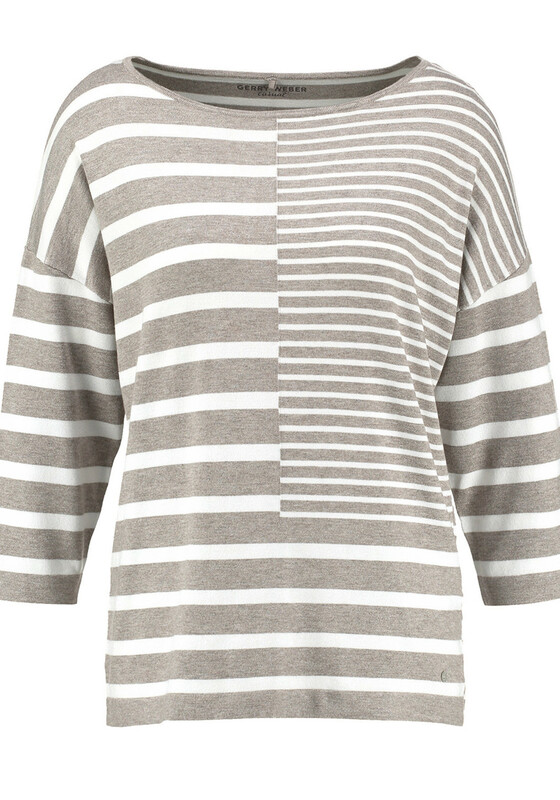 Featuring panelled stripes throughout with a rounded neckline and three quarter length sleeves. 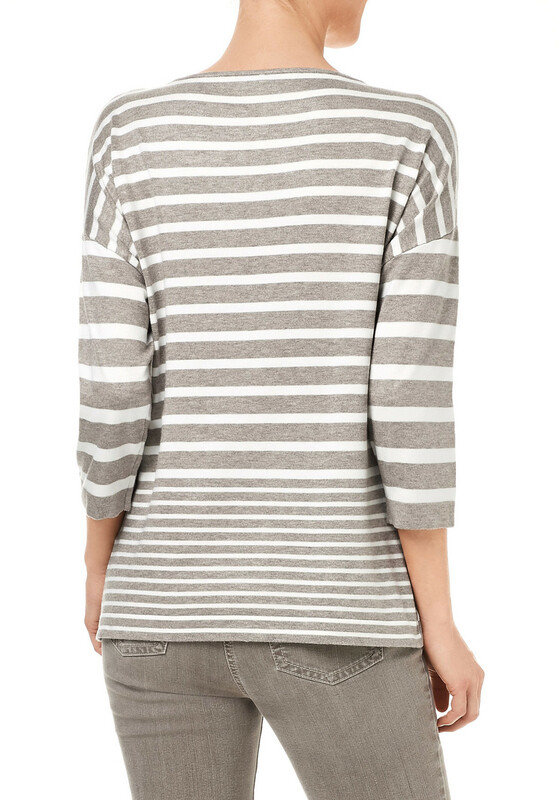 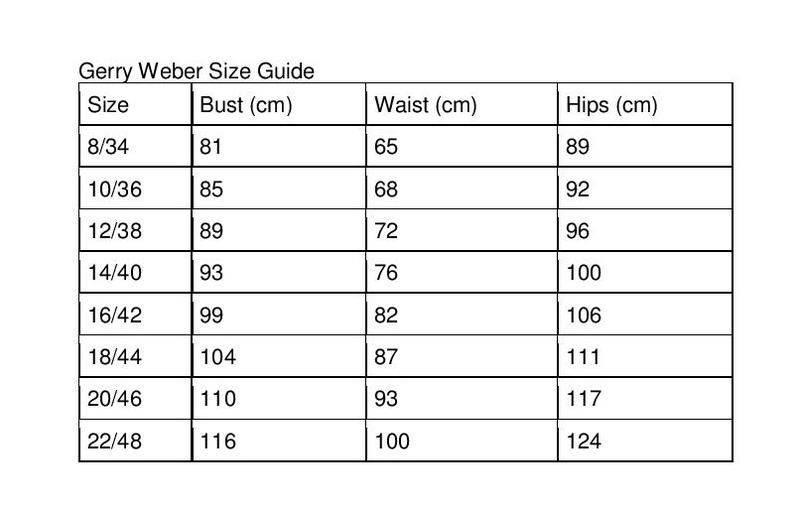 Also featuring a bateau neckline and a turned up hem.